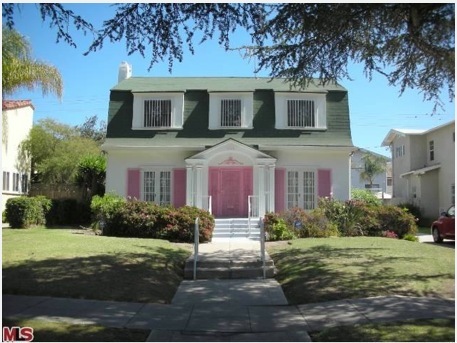 Andy and I have bought a house in one of Los Angeles’ beautiful inner-ring-ish suburbs. Ring analogies don’t really work with Los Angeles, but that’s another story. Today, suffice it so say that we bought a house near the university where I work in a neighborhood called Wellington Square within West Adams. People have gotten rather testy with me for referring to this area as West Adams, but…the place I am going to live is covered by the West Adams Historic Preservation Association. So I’m going with that. Anyhoodily, the point, and I do have one, is that we are in a historic preservation overlay zone (HPOZ). Now, it’s pretty clear from the neighbors I’ve met that there are not many historic preservation hawks living in my immediate vicinity. One is caring for his aged mother, who lives there. My neighbors on both sides have four kids and three kids, each (so that means they are busy racing around after kids and nannies and more kids). I suspect they could care less what we do, as long as it doesn’t involve human sacrifice. This house I bought is a Dutch colonial revival, built in 1919. These typically were painted quite conservatively, with green shutters and perhaps a bright red door. We are purchasing the house from a conservatorship for the estate of a lady named Ms. Lonnie Pillow. Ms. Pillow lived in that house from 1950 onwards, according to her heir, until the day she died at age 100. According the the talkative neighbor, who got in a long discussion with my talkative spouse, Ms. Pillow liked her clothes and wore lipstick until the day she died. A lady after my own heart. Yesterday, we found newspapers from 1950 lining her linen cupboards. And I found a treasure trove of her church hats. Now, it gets a mite more confusing, as the heir replaced one of the pink shutters shown here with a white shutter. So the house is lopsided. HPOZs are meant to preserve architectural imagery. Now, I have sympathy for the historic preservation folks, particularly the ones in Los Angeles, who can have a tough time compared to their often fanatical and superwealthy eastern counterparts. The part of me that understands and appreciates the good parts of historic preservation wants to make this place look the way an LA Dutch Barn would have looked. However, Ms. Pillow was a part of this place for 60 years–that’s more than half of the life of the house. She was an astute lady, it seems, and owned a bunch of property, and if the boatload of bank statements of hers I am now shredding are any indicator, she knew how to manage money. There is a part of me that also knows historic preservationists also tend to skate over the histories of individuals, particularly African Americans, who were not celebrity-style famous. What does it take it to be notable? Or important enough to be remembered? Why is the life of one person worth commemorating, but not another? And do I go original and just blow a kiss in apology to Ms. Pillow? Or do I start looking for matching pink paint? 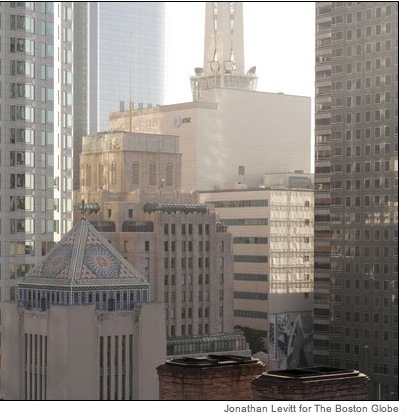 Unlike just about everybody who has ever written about Los Angeles for east coast markets–most of whom write with the single purpose of assuring New Yorkers of their innate superiority–Jonathan Leavitt has been writing and photographing Los Angeles for the Boston Globein terrific photo essay. Los Angeles is the type of city that requires you to get to know it. It unfolds like flower from a bud that, at first glance, seems merely squalid and prickly.